My friends, this parable is more profound than you might think. I can recall with absolute clarity that the vast majority of my life has been spent feeding the dark wolf. This discovery initially occurred a few years ago when Dawn, one of the most inspiring counselors with whom I’ve had the pleasure of working, suggested that I observe my thought processes over the course of a few days (it would take a few years before I would begin to permanently redesign my way of thinking). I had the shocking realization that the majority of my thoughts revolved around how terrible my life was, how irritated I was at this or that person, how I dreaded going to work or school, how unfair it was that I had to attend nursing school full time and work a full time night job, how awful it was that I couldn’t see my kids every day, how grievous it was to have been stricken with a chronic gastrointestinal illness, and so on, and so on. And every single day I was feeding those thought patterns like a plague. 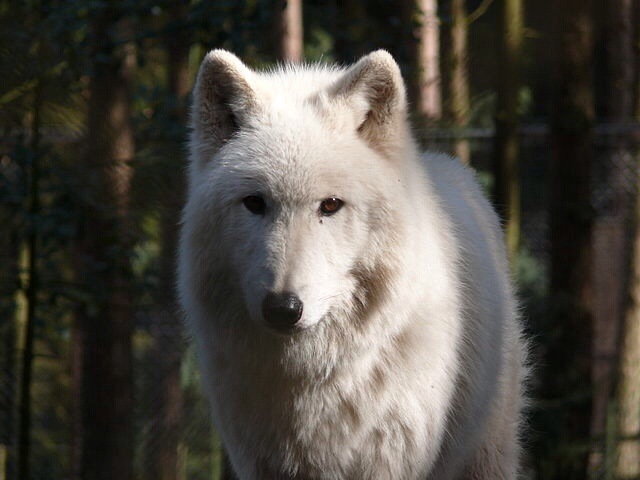 The dark wolf was winning by a landslide, so much that I wasn’t aware that a white wolf even existed. It was from becoming aware of my thought patterns that I began to change them. Once you become consciously aware of your recurring thoughts, then your brain patterns slowly become less a matter of coincidence and more a matter of choice. It is from this place that one can recreate the mind, so that it begins to generate food for the white wolf. Through personal experience, literature and the lives of those around me, I’ve begun to identify the dark wolf as a very common (and very strong) phenomenon. Observe today’s press. We curse them for methodically presenting today’s news in a way that maximizes chaos and conflict, for tirelessly reminding us of the terrible state of humanity, for promoting fear and anger. But I submit that the press is only fulfilling on the economic model of supply and demand. We as human beings have made it very clear that we love conflict. The press as a business have made it very clear that there is an abundant supply of conflict. But, my friends, do not be fooled by the notion that the world is crumbling, that war and hunger will never end, that these are evil times, that peace is unattainable, that life doesn’t matter, that you can’t trust anyone, that things will never change. The press may present these things as truth, and you may find yourself surrounded by the illusion that life and humanity are hopeless, but I assure you with great certainty that there exists more love and beauty within this world than you can imagine. I see it with my own eyes every day, even after a lifetime of feeding the dark wolf. Feed the white wolf. Observe your way of thinking, change your way of thinking, and experience the miraculous like you never thought possible. Cheers. Nelson Mandela, Dementors, and … a DeLorean?